Silhouette Photography can create very dramatic photographs! I was out on a walk, when I spotted this beautiful tree. The sun was so bright and the tree had just an interesting shape, that I decided to stop and photograph it. I decided that I wanted to capture more of the silhouette of the tree, versus the color of it. You can achieve a similar effect when you choose an exposure that will compensate for the brightest part of the scene. What happens next is, the rest of the areas will be “under exposed” and will become dark. Doing this intentionally will give you a similar effect. Good To Know: Have you every wondered why, when you took a photo of your friends and family, in front of a window, why the picture came out too dark? It is because your camera automatically set itself to expose for the brighter light, in the photograph. The rest of the post edits, I did in Photoshop. I created a couple of layers, and one of the layers I added even more contrast, for one effect. Then lastly I added a “filter” and “posterized” the edges for the final effect. The end result is what is shown. 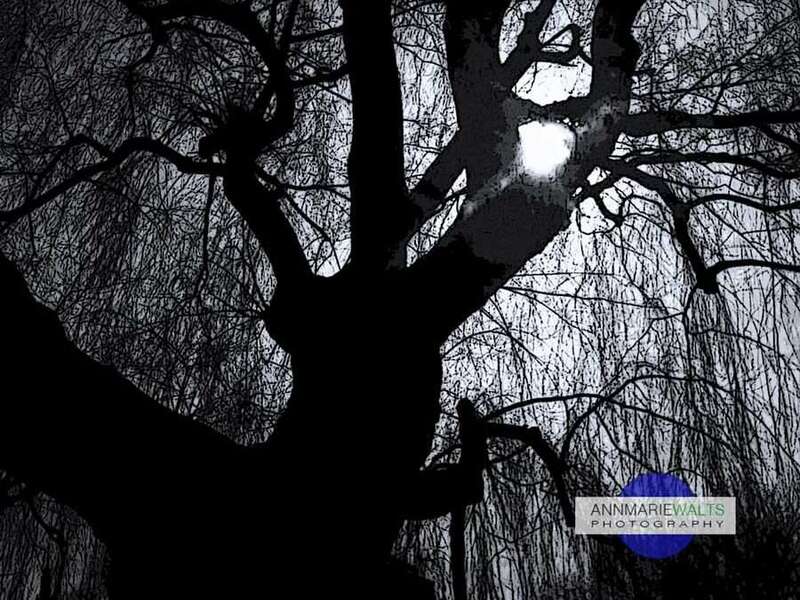 Silhouette Photography is a great fun way to create images that are meant to be printed and framed.